Lehrte, April 9th, 2019 — A recently published video (see below) shows highlights from our well-received presentations on the Hannover Messe 2019 in Hall 16 (5G Arena) and Hall 17 (main stand). 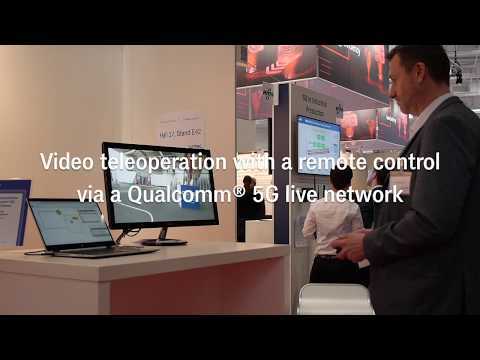 Götting was part of the 5G arena in hall 16 and has shown a HD video stream from an outdoors vehicle via a Nokia® / Qualcomm® live 5G network. The vehicle could also be teleoperated via 5G using a remote control. The HD camera system ATOMone mini and the transmission system Barracuda were provided by the company Dream Chip®. In hall 17 we had our main stand with the partners Velodyne® LiDAR® and TU Dresden. TU Dresden (ComNets, 5G Lab) have shown a redundant, fail-safe TransportControl that was prepared for TACNET 4.0. Also we could welcome MECSware® providing a 4G (LTE) Campus network (Non-Public-Network) that ensured a reliable connection with low latency between our KATE AGVs and the control PC. On a mobile area three KATE AGV drove. One could deliver a video stream via 4G/private LTE, one showed a new lifting arm and one used our Extended Localization System E.L.S. With E.L.S. a vehicle uses the environment for position detection and doesn't need artificial markers like transponders or an optical track. Privacy info. Embedded YouTube Videos: By default only the thumbnail is loaded directly from our server. If you click on the play button (Opt-In) a connection to the YouTube server is established. Then the video is loaded from the external server. While doing so your IP address and further data is collected by the YouTube server (more information). 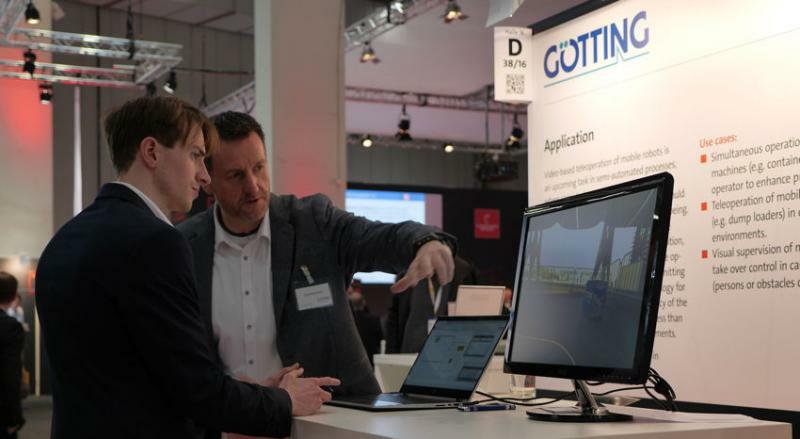 Götting KG founded in 1965, ist an innovative company placed in Lehrte near Hannover (DE) and works worldwide.The company develops and produces wireless data communication systems and sensors for automatic track guidance of so-called automated guided vehicles (AGV). As far as we are informed Götting KG has the largest product range of different components for trackguiding AGV. Further main topics are traffic technology, RF measuring, wireless data communication in general as well as customized developments for car manufactureres, electronic- and radio broadcasting industry. Currently our company employs 70 professionals of which 32 are experienced masters in engineering and are responsible for research and development. The core competency of FOX - a special department of Götting KG - is focused on the automation of serial vehicles, especially for the outdoor area (trucks, pay loaders, fork lifts etc. ).